Deodorants can contain ingredients or fragrances that help mask body odour. Bacteria is also responsible for causing body odour, hence deodorants can contain ingredients which prevent bacterial growth or even reduce the number of bacteria in the axilla to help fight body odour. Anti-perspirants contain anti-perspirant actives – usually aluminum salts, which reduce the release of sweat from the sweat glands as they form temporary gel plugs in the most upper parts of the sweat pores. These plugs are removed over time by mechanical action and the natural skin renewal process. Anti-perspirants also have a deodorising effect as they inhibit bacterial growth due to a lower pH and the reduction of moisture in the axilla. 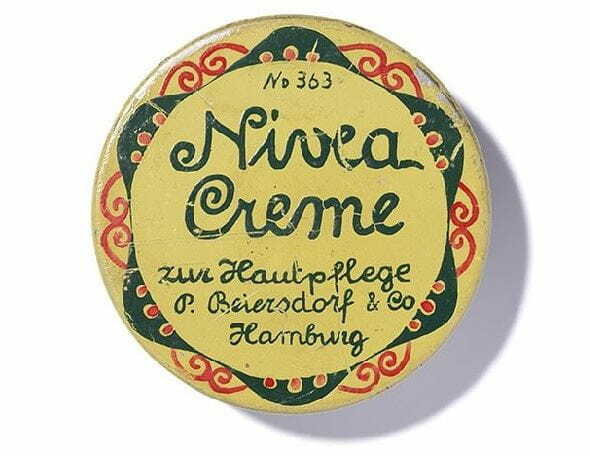 WHY DO THE NIVEA ANTIPERSPIRANTS CONTAIN ALUMINUM SALTS (E.G. ACH)? There are several factors which cause us to sweat. An increased body temperature due to physical activity and/or a high temperature can cause your whole body to sweat. This kind of sweating takes place in order to regulate the body temperature by evaporative heat loss. The sweat is released by the eccrine sweat glands and contains mainly water and salts. You can also sweat due to emotional or psychological stress. In this case you mainly sweat in your armpit , on soles, palms and forehead. This type of sweat is not only produced by the eccrine sweat glands but also by apocrine sweat glands. Apocrine sweat consists of lipids and proteins, which are metabolised by skin bacteria and thus cause the characteristic body odour. Stress-induced sweating is part of an ancient evolutionary response to threatening situations (the “fight-or-flight” reaction) and plays an important role in our non-verbal communication. Our range of NIVEA Stress Protect Anti-Perspirant Deodorant provides extra protection against stress sweating. IS IT HARMFUL TO INHIBIT PERSPIRATION BY THE USE OF ANTIPERSPIRANTS? WHY DO I HAVE TO SHAKE MY NIVEA ANTIPERSPIRANT OR DEODORANT SPRAY? Antiperspirant sprays need to be shaken well to ensure that the antiperspirant active powder (aluminum salt) is evenly distributed in the can. Otherwise the product could be sprayed out in a concentrated form and could clog the valve or cause white residues on skin or clothes. However, alcohol based NIVEA deodorant sprays do not need to be shaken. WHICH DEODORANT OR ANTIPERSPIRANT CAN I USE AFTER HAIR REMOVAL? As every shave not only removes the hair but slightly damages the upper skin layer and therefore irritates the skin, all NIVEA deodorant or antiperspirant products without alcohol are suitable. NIVEA Pearl and Beauty Aerosol Spray Deodorant has been developed and tested specifically for this purpose and are especially well tolerated even if you apply them directly after shaving. IS MY PRODUCT FREE OF ALCOHOL? In fact, chemically the term "alcohol" refers to a broad variety of compounds. They all have in common, that they contain a certain group of atoms in the molecule. Generally or colloquially, however, the term "alcohol" is limited to the substance ethanol (chemical name: ethyl alcohol), which is the drinkable version of alcohol. Any product with the claim “alcohol-free” is free of ethanol, thus free of "alcohol" or "alcohol, denat", though the word alcohol may occur in the ingredient (INCI) list (eg. such as stearyl alcohol). CAN THE USE OF DEODORANTS CAUSE WHITE RESIDUES ON FABRIC? Some deodorants, more precisely antiperspirants, which contain aluminum salts, e.g. aluminum chlorohydrate (ACH), are able to leave white residues on clothes under specific conditions if not applied correctly. When using antiperspirant sprays it is important to shake the product well to ensure that the aluminum chlorohydrate powder is evenly distributed in the can and accordingly on the skin. In order to avoid white residue, all antiperspirant products must be fully absorbed or dried sufficiently on the skin before putting on clothes. Usually white residues on clothes can be removed by brushing. The special formula of our NIVEA Pure Invisible Aerosol Spray Deodorant provides 48 hour effective antiperspirant protection without leaving white marks on your favourite clothes and underarm skin. CAN THE USE OF DEODORANTS CAUSE YELLOW STAINS IN TEXTILES? Yellow staining bases on a complex interaction of skin lipids, sebum, sweat components, laundry detergent and antiperspirant active. Several factors are involved, including the frequency of application, amount of antiperspirant product used, frequency of changing clothes, intensity of washing clothes, individual composition of sweat, content of minerals or trace elements in the tap water and the constitution of the fabric itself. The best way to reduce yellow stains in your clothes is to let the deodorant product dry completely before putting on clothes. However, it is important to note that yellow stains may occur also without presence of any antiperspirant ingredients, similar to a yellow stained collar, where skin lipids together with dirt particles of the air cause persistent stains which cannot be removed easily anymore. In some cases, staining is associated with bleeding of fabric dyes. For anyone who would like to reduce the appearance of yellow marks on black or white clothes, we recommend using a deodorant from our NIVEA Invisible for Black & White range. WHAT CAN I DO TO REMOVE YELLOWISH STAINS? Existing yellow stains cannot be removed or reduced by frequent / repeated washing of clothes; sometimes the washing can even solidify the stains. In case of stains, rinse your clothes in cold water before washing them with laundry detergent. In many cases we were successful to remove the stains by soaking the clothes in 5 % citric acid for approximately 24 hours. Very important: Rinse the clothes with clear water before washing them at the highest possible temperature. Still, we can’t guarantee that for all stains and clothes the given procedure will be successful. Be careful with delicate and colorful fabrics and with clothes with buttons of “mother-of-pearl” as the acid solution can damage them. Warning: Be aware that citric acid is slightly hazardous in case of skin contact (irritant, sensitizer), of eye contact (irritant), of ingestion and of inhalation (irritant). Skin contact can produce inflammation and blistering. Tissue damage is dependent on length of contact. For this reason, we highly recommend to wear protective gloves when handling citric acid and to not breathe in citric acid dust. CAN THE USE OF DEODORANTS CAUSE COLOURED STAINS (E.G. GREEN, BROWN, RED BLUE) IN TEXTILES? The development of colored stains in textiles is similar to yellow staining. The concrete color of stains might be influenced by trace metals in the tap water (e.g. copper, manganese, iron). In some cases the color impressions might also be influenced by fluorescent whitening agents (optical brighteners). Coloured stains on light-coloured clothes might also appear when a coloured piece of clothes worn beneath or above looses dye due to bleeding. This process often occurs if the dyed material is not sweat-proof.